There is one goal that’s common for all successful bloggers: publish more high-quality content in a shorter period of time without affecting the lifestyle you have. In fewer words, all bloggers aim towards more productivity. They have jobs, families, and hobbies they need to devote themselves to, so blogging mustn’t become a burden. However, they also have a responsibility towards their regular readers, so it’s necessary for them to produce great content according to schedule. Are you in the same place? In the continuation, you’ll find a list of top 12 tools that will improve your productivity. The tools are meant to help you produce better content and boost your time-management skills. 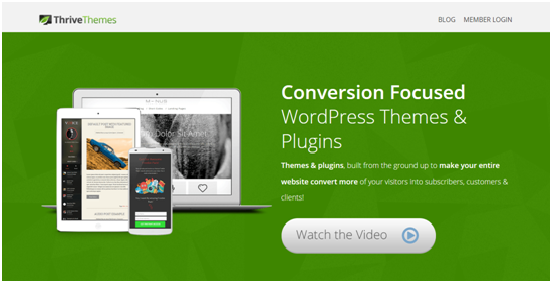 With this awesome online tool, you can create a more appealing WordPress landing page. The plain-old WordPress is functional, but rather boring. It doesn’t matter how great your content is if no one is motivated to read it. That’s why a simple addition of a cool theme will make your website much more successful. How is that related to productivity? You’ll get more readers and conversions for the same content you publish. Plus, the tool functions as a content builder – a fast and intuitive front-end visual editor for your blog. SEO is the key to your blog’s success. 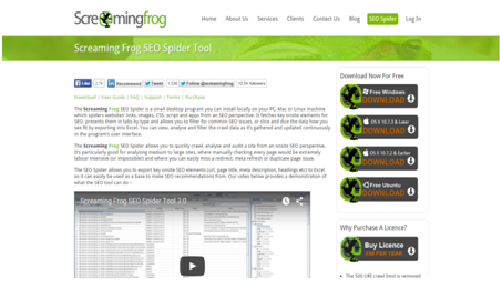 Screaming Frog is spider tool and crawler software that will analyze the page titles, page descriptions, and other parts of your current content. You’ll see the key onsite SEO elements presented in a clear table categorized by type. When you realize how your existing posts are performing, you’ll be able to optimize them in order to attract more readers. If you organize your research and planning process, your entire work will become more productive. Pocket enables you to save online resources for further reading. When you encounter a particularly interesting online source you would like to include in your next post, you don’t have to bookmark it in your busy browser. Simply hit the Pocket button, and you can read it when you find the time. The tool instantly syncs your resources across devices, so you can access them even when you don’t have an Internet connection. Why would you waste your time using several apps for a single on your tablet or smartphone, when you can make your life easier with Zapier? This tool connects the apps you use according to the Zaps you create. For example, you can set the tool to send your Tumblr posts to Buffer. You can also connect Blogger with other apps you use, so Zapier will automate the promotional part of your work. Social media activity is necessary, but it can take a huge chunk of your time. Instead of writing a new blog post, you find yourself communicating with your Facebook audience for hours. You have to log into Twitter, Facebook and other social media sites at specific times, since you want to post during activity peaks. Buffer will make things easy for you. You can schedule posts at any time, so you’ll maintain your social media presence even when you’re offline. This is a classic tool for bloggers and content writers. It helps you identify the keywords that are popular among your target audience, so you’ll use them strategically in order to drive more readers towards your site. Be careful not to go overboard with keyword stuffing; such strategy won’t work with the search engines. However, the right dose of search engine optimization will make your blog more popular, so you’ll achieve better results with the same amount of work. When you’re in the middle of a writer’s block, you might think it would be okay to leave your audience without the weekly post. That’s not a good idea. If a regular reader expects a publication, he’ll be disappointed when he doesn’t find it. When you start leaving big gaps in between the post, people will gradually stop visiting the site. If you can’t write creative content when you need to publish something new, you can delegate the work to the writers at this website. They are very professional and follow instructions to the tiniest detail. In addition, you can hire proofreaders and editors from Australian Writings; they will bring the content at your site to perfection. This is another tool that elevates your social media productivity. You can schedule updates and find influentials to follow. In addition, you can monitor and analyze your activity on social media sites, so you’ll be able to plan your strategies more effectively. There is one particular Socialoomph feature you’ll love: it enables you to add old posts to a queue and actualize them with recurring updates on Facebook and Twitter. If you have evergreen content on your blog (and you should! ), then you’ll really appreciate the great number of visits these updates will draw. Your productivity in writing depends on your ability to focus. If you can’t resist online distractions, a short post may take an entire day to write. StayFocusd will force you to stay committed to your work. 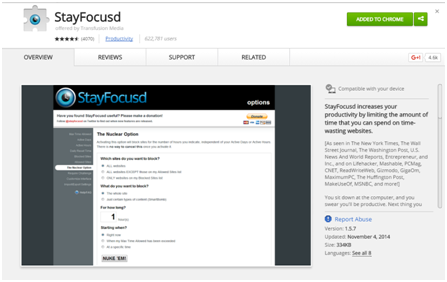 This Chrome extension will block distracting websites during working sessions. You will customize the tool to allow you to access Facebook, Twitter, LinkedIn, Reddit, and other distracting websites for a limited time of amount during the day. When you reach that limit, you’ll no longer be able to access those sites. You invest tons of time in creating graphics, images, and infographics for your blog? You’re probably using the wrong tools. Canva enables you to achieve great results with minimum effort. With this free image editing software, you’ll create stunning visuals even when you don’t know anything about graphic design. Bloggers mostly use it for crafting infographics, but you can also design presentations, great layouts, social media graphics, photo collages, posters, and more. If you’re too busy to create your own graphics and you have absolutely no photography skills, then Flickr is the resource you need. You know you can’t leave your post without any visual elements. At this website, you’ll find high-quality photographs and images that will be related to your content. Use the search bar to enter a keyword, and you’ll get access to a great collection of photos you can use on your blog. If you’re looking for freebies, choose all creative commons in the dropdown menu. If you don’t have a problem paying for an awesome photo, you’ll be able to choose from a much larger base of images. Remember: your blog posts are much more attractive when you make them visually appealing. Topsy was included in this list, but was recently acquired by Apple, Inc.
Blogging is not easy, especially when you’re committed to a regular schedule and loyal readers. If you find ways to boost your productivity, you won’t have to sacrifice any of your pastime activities for the sake of your blog’s glory. The above-listed tools will make you a faster, more productive, and better blogger. This is a guest post by Stephanie Norman who is a professional writer from Sydney with for 4 years of experience. She is a specialist in writing business, creative, and academic content. You can follow her at Facebook and Google+.